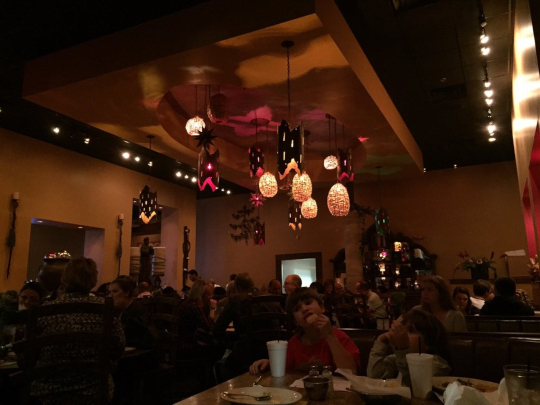 Tarahumata Mexican Grill and Tequila Bar, is a Must Try, and we promise that you will be back very soon. Tarahumata has become one of Atlanta’s favorite places to go and celebrate anything from a birthday, anniversary, graduation, or business lunch to dinners, corporate meetings, drinks after work, or just nice gatherings with your friends or family. The restaurant is lauded for its architecture and style, carrying a distinct flair – bathed in the warm glow of low-hanging lamps over very distinct colonial furniture. At the same time, the space is casual, fun, and festive. The signature dish is the Molcajete Texano, made with grilled cactus (yes, cactus), grilled steak, grilled chicken, grilled shrimp, grilled onions, molcajete salsa, black beans, Mexican sausage, and fresh tortillas. It takes 10-20 minutes to prepare to perfection, but it’s completely worth the wait. While you’re waiting, try one of the signature drinks – the Organic Margarita, made with fresh lime juice and organic agave nectar; the Jose Margarita, made with premium tequila and a secret recipe; or just one 150 tequilas from the modern, fully loaded bar.